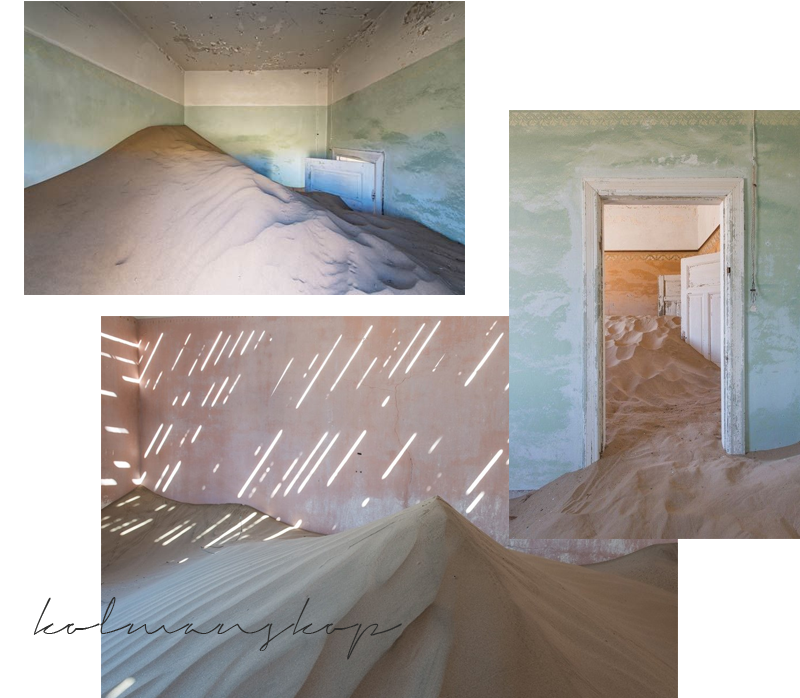 Hauntingly beautiful photos from the Namibian ghost town, Kolmanskop. The combination of dessert wind and sand creates staggeringly beautiful dunes inside the abandoned homes of the diamond mining town. It's whimsical pastel walls and abstract sand formations make for my perfect photoshoot set.